Congratulations, you’re expecting! It’s an exciting time and no doubt you’re full of emotions as your hormones change and you get used to the idea of having an extra person in the house. You may also be getting to grips with the idea of labour, and starting to make plans. Whether you’re a first timer or looking forward to your second or third child or beyond, it’s still natural to have worries about the birth and want to make it as easy and pain free as possible. There are very many different ways you can prepare yourself physically and mentally for labour, and of course you’ll be given an abundance of advice from everyone around you; from the checkout lady to your Great Aunty Sue. If you want to have a natural, drug free labour, you’ll need to put in a bit of work beforehand. But go with what feels most comfortable for you, and safe. Ante-natal classes are of course a must. You’ll learn physical techniques for coping with the strain of labour, from concentrated breathing to the best positions and stances. You’ll also meet other mums-to-be and talk about your planned birthing experiences. It’s good to talk through your worries and hopes with other people in the same situation as you. Be open and honest, and ask questions. Normally mums are more than happy to share their experiences advice with others if they think it will help. You can also speak with your midwife, or like some women you could choose to enlist the support of a doula throughout the pregnancy. Relaxation techniques such as meditation and hypnotherapy can help to clear your mind, so that you can focus more on the task ahead of you (labour) Work through your worries and mentally prepare yourself; walk through the steps in your mind…how will you feel when your waters break? What emotions will you have when you are in labour? Pregnancy yoga is a good way to relax, clear your mind and strengthen your muscles at the same time. Practicing the drive to the hospital with your family or partner will also help you feel more prepared; as you’ll know exactly how long it will take, especially if you try the journey at different times of the day to predict traffic. Strength of mind is one weapon against pain that you’ll have in your arsenal if you’ve been working on any of the above advice; but what other pain relief techniques will you take with you? A much coveted source of pain relief amongst mums during pregnancy, labour, and post-natal, is a Tens Machine. These neat devices send a pain-relieving electric pulse to the muscles to help relieve tension and also release those happy chemicals; endorphins. 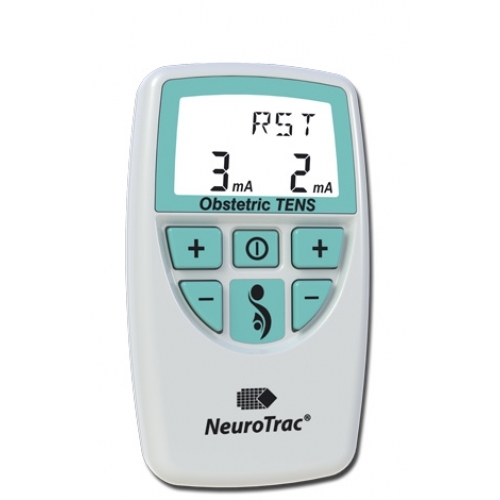 To be effective enough to rely on in labour, you’ll need a good quality TENS unit which can be very pricey, which is why many mums choose to rent special pregnancy TENS machines which have specially programmed labour pain relief modes. However your labour turns out, remember everyone is different, life isn’t perfect and delivering a baby is a miracle in itself so you’ve done just great! Make sure you speak with your GP or Midwife before you try anything new, just to make sure it’s safe in your own special set of circumstances. Good luck!